We have all heard of “buyer’s remorse”, and many of us can think of a time when we have experienced it. Buyer’s remorse is the feeling of regret that you have after you make a purchase. Several years ago, I saw a black jeep that was really “cool” looking. I really wanted the car and we could afford it. We paid more than we should have for it, even though it was used, and we did not take wise precautions to get the jeep checked before the deal was done. We trusted the man’s word. We ended up paying a few thousand dollars to fix it and sold it for about the amount of the repairs. We definitely felt the regret of making an emotional decision, instead of thinking carefully before making the purchase. This same situation can happen with the holidays. Too many times we get caught up in joy of the season and make emotional purchases that we will regret once the 26th of December rolls around. We hear the happy Christmas carols as we embark on our way wanting to make the holidays a wonderful memory for all involved with beautifully wrapped gifts under a nicely decorated Christmas tree. We eat too many sweets and spend months afterwards trying to get the pounds off. Why not be wise now and avoid the extra weight and debt? To avoid holiday remorse, imagine how you are going to feel the day after Christmas. Do you want to have after-Christmas debts and unpaid bills hanging over you? It may take you months to pay them off. Don’t get me wrong. I am not trying to be a Grinch and tell you to skip Christmas, but approach the holidays using your head as well as your heart. Figure out what you can afford, without going into debt. We have paid for Christmas with cash for years, and it is so enjoyable knowing that whatever we have done is completely paid for. There are no debts hanging over us. Some years have been slimmer than others, but no one has ever complained. I believe that the reason no one has complained is that Christmas is about being together not just about the gifts. If everything focuses on the gifts, think of the legacy you are passing on to your kids. Is that really what you want? Set the example and they will follow. There are a few things we have done to make Christmas as nice as possible within our budget. First of all, we have the kids make a list. We have found through the years that lists change several times before Christmas. Have kids make an initial list of what they think they want. A few weeks later, look at the list again with them and have them prioritize the things they want. For example, the gift they want the most should be first on the list and so on. When we shopped for our kids, we started at the top of the list and we down only as far as we could afford in our budget. Since they usually received the gift that they wanted the most at the top of the list, it wasn’t a problem if they didn’t get a lot of gifts. We talked about who we wanted to exchange gifts with and about how much we wanted to spend. By doing this, we knew how much money we had to work with. If we wanted to spend a little more than we had planned on something, we had to cut back something else to make up for it. We used our Christmas budget as a plan, but had flexibility in that plan to make changes as long as we stayed within the allotted amount. Christmas food was another area where we used to spend a lot of money. I would buy expensive ingredients and make sweet treats for of our friends. I bought butter, nuts, chocolate, and other expensive ingredients and lots of them. One year, a friend gave us some muffins and hot chocolate for Christmas. It was so refreshing to get something other than sweets. I decided then and there that I wanted to do the same for our friends. I wanted to make something like homemade bread or muffins or something that wasn’t too sweet. I have never regretted that decision, and have received so many comments from friends about how nice it was to receive something that wasn’t a sweet treat. I saved money in the process, even though that was not the initial goal in changing things. We also cut down the money we spent on Christmas Eve and Christmas day. I used to go overboard in the amount of food I made, but now we make a nice meal that won't confine us to the kitchen for days. We can spend the holidays enjoying the family instead of just cooking and cleaning for hours and hours. 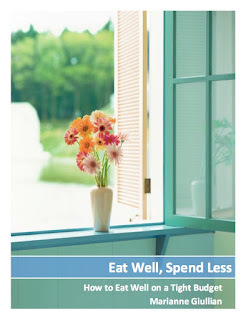 We spend less, we have more time for others, and we feel better since we don’t eat as many rich foods. Christmas is just around the corner. Before you go spend money you may come to regret after the holidays are over, take some time to think ahead about how much money you have to work with, how you will choose to spend it, and stay within the amount you have determined. Imagine how nice it will feel when the festivities are over and everything is already paid for. There will be no debt, no bills hanging over you, and you will feel at peace. You will have made it through the holidays without holiday remorse. This was refreshing to read - I'm totally with you on this. Our extended family just picks names in October and then we buy for only ONE person with a limit of $20. The real fun is the poem one has to create with the gift. And we have this gift exchange well before Christmas, according to the Dutch Sinterklaas tradition. The Christmas season is actually very relaxing for our family. Christmas Day itself is spent enjoying a potluck dinner and each others company while celebrating the real reason for the Season. Thanks for sharing what your family does. It sounds so refreshing! I like the idea of the gift exchange before Christmas. You sparked my curiosity about Dutch Christmas traditions. I will have to spend some time reading about it. The potluck dinner sounds nice so one person isn't stuck in the kitchen all day cooking. Thanks again for your comment.